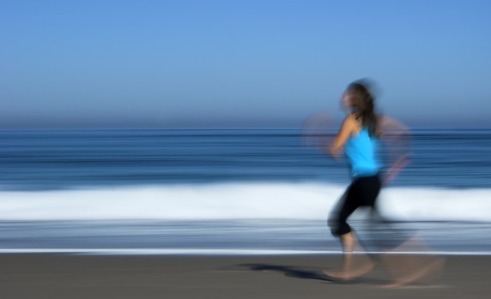 Into physical fitness and challenging your body and soul? 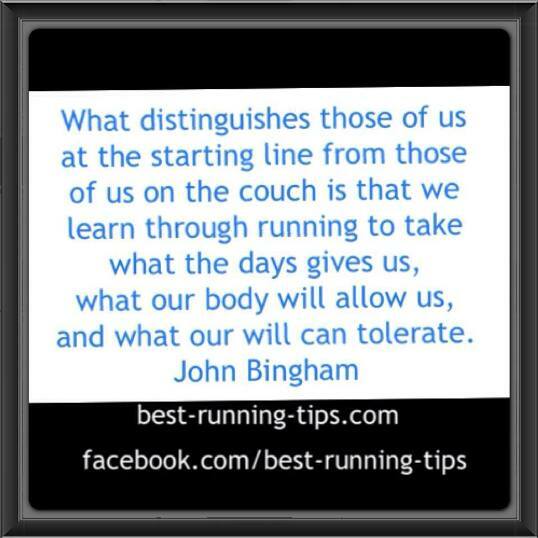 Then running races is an amazing way to satisfy your competitive spirit. It isn't just running the race that is important, but the training and preparation that is involved can be even more exhilarating than the actual race. 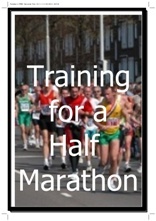 Running races is a great idea to keep up your motivation and training effort. It can be truly exciting to set yourself a challenging, yet doable, goal and then working towards achieving that goal. The great thing about racing is that it is often not so much about competing against hundreds or thousands of competitors. You are competing with them, sharing an experience, in chase of a PR (=personal record), getting to the finish line or just having fun. Find below my top ten tips to get the most out of your next race. Benjamin Franklin said it before: "By failing to prepare, you are preparing to fail." Preparation is highly important when getting ready for a race. Not only do you have to know your body's limitations, but you have to prepare it for what it is about to go through, be it a 5k race, a 10k race or a (half) marathon. 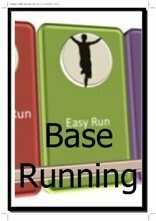 You would usually pick a 12-, 18- or even 24-week running program and chop it up in training blocks, first focusing on easy running (building your base) and later on adding faster workouts as well. 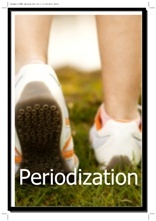 Using different training blocks dedicated to specific types of training is a process called periodization. A mistake many of us make when preparing for a race is that we underestimate the training effort involved. It is easy enough to say on New Year's Day that you are going to run a marathon that year. At that point in time you may not know the effort involved. That you need to build up your mileage to doing a number of 20-mile runs. When you are underprepared and throw yourself into this type of training, you leave your body exposed to the risk of running injuries. It is important to listen to your body, increase your mileage safely and to follow a hard/easy approach. This means that you alternate hard, tough workouts on one day with rest or much easier workouts the next day, giving your body a chance to recover. When running races, especially longer ones, you will be eating and drinking during the race. Make sure you know which drink the race organizers will provide you with. It makes a hell of a difference! I have run races where at certain stops, when I wanted water, we'd get some fizzy drink that did not agree with me. Train with drinking certain sports drinks. When you know that some sports drink is no good for you, then make sure you carry your own or make other arrangements. Same goes for the food you eat during the race: make sure you have trained eating it and see if it agrees with you or not. It is nothing less than bad race preparation if your race goes down the drain because of the food and drink you consume. Another thing about drinking and eating during the race: take a walking break to do it. You really won't lose time at all. Walk for a few seconds to get a decent drink of water and to swallow it properly. Much better than trying to run through it and not getting enough water and ending up in a coughing fit because you couldn't swallow your drink easily. 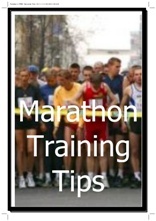 Allow yourself enough time to get to the race, store the items you carrying on you, do a relaxed warming up etc. Nothing worse than having to skip your warm-up or not being able to go to the toilet anymore because you got up too late. Keep in mind you will not be the only one who will want to go to the toilet just before the race. Make sure you know the course. Is it hilly, is it a city race (between buildings) or in a more rural environment where the elements (wind especially) might have more influence? Nothing worse than planning for a PB, only to find out that the race turns out to be a lot tougher/hillier than you expected it to be. I have been there, and I can tell you it really stuffs up your day! I did this 10k race and really had my mind set on running a personal best. The race was supposed to be this loop of 2.5k which we had to do four times. Little did I know that there was this big hill with pretty tough ascent that lasted about 500m in this course. So that was 4 x 500m of climbing. Rest assured, I did not run a PB that day. But I did learn a valuable lesson. Make sure you have got a good idea of the time you will be able to run your race in. There are several different ways of achieving this. 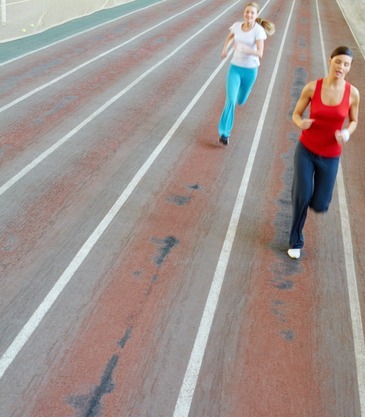 You can do this by incorporating time trials or tune-up races in your running program. 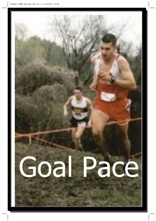 It is also wise to include a few goal pace sessions in your running training so you can figure out whether the time you are planning to run is achievable. While running races, you need to make sure you pace yourself. You need to rely on your training and the fact that you know what your body can and cannot do, and stick to the game plan. 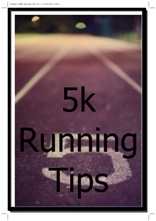 Ideally you would have listened to the previous running tip and followed the links. You'd then have a pretty good idea of the time you'd be able to achieve using a variety of tools. Knowing your possible end time allows you to pace yourself. It should then be your goal to go for as even splits as possible. So every mile, whether it is the first, or the fifth, or the tenth, or the twentieth in the race should be run equally fast (not taking into account hills etc). Oh, The amount of people you will pass by in the second part of the race! 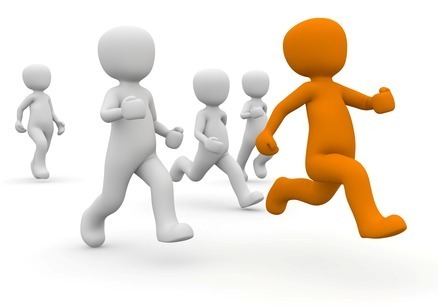 80 to 90 percent of your fellow competitors will start off too fast, getting caught up in the excitement of the race. Your race will be so much more enjoyable when you find yourself being able to keep your pace throughout the race. You will pass others in the second part of the race rather than getting passed by. If there is one thing you take away from this article, it must be to know your gam plan and pace yourself. One goal time for when you find that things are going horribly wrong. Of course, there is much you can do to influence that. I guess it is important to realize that missing your ultimate goal does not necessarily mean the loss of months and months of running training. In the end, you are still part of a tiny majority that put in the work and made the effort to participate in the event. So even when things don't go your way, try to make the best of your racing experience. Battle through and compliment yourself afterwards for the character-building exercise you just went through! One exception to this would be if you get an injury during the race and continuing the race would mean that you are causing longer term damage. Otherwise, soldier on and make the best of a bad day! 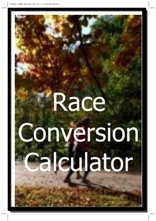 Additionally, do an evaluation after race day, no matter how good or how bad it went. Try to pick up at least one new learning, one adjustment you could make to do better next time. This last part isn't always easy. I am part of a corporate competition which runs the same lap every fortnight for three or four months in a row. It is a great little competition and because it is only a short distance it is something you can easily fit in at lunch time. The course has got a big hill in it and with the friendly rivalry going on, you'll always do your best to improve upon last time. Even with that race I try to do a short evaluation on my way back to the office. Did I drop the ball somewhere? Could I do better? When I started doing it, I started off too conservatively. Too afraid of the hill. My last kilometre would be by far the fastest. I made adjustments. Then I noticed that I was going too aggressively on the hill. The kilometre split with the hill in it would usually be pretty good, but the kilometre straight after that would be slower. Again, I made adjustments. Try to improve little things every time. One percent better every time adds up over time! A bit of a bug bear of mine are some of the behaviors witnessed during races. One important thing is to know your place. 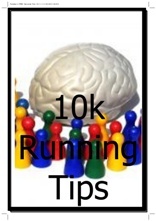 Going to run your 10k in 50 minutes or so? Then don't position yourself between the guys and gals who will do it in 30. It is only decent to make sure that that person is closer to the starting line than you are. So, do not try to be the first at the starting line if you are not going to be the first at the finish line. Try to position yourself fairly in amongst the field. Middle of the pack? Go line up somewhere in the middle. Back of the pack? Go to the back, etc. It only makes sense. I am nowhere near elite, more front of the middle of the pack, and the number of people even I pass by during a regular race in the first few miles is just incredible. Another issue I have seen, particularly in very popular, very big races is if "slow starters" run together in a bigger group and combine this with starting off way too much to the frong. I have had situations where I had to try to pass six people running in one line all next to each other with hardly any room to pass them either on the left hand side or the right hand side. It is quite selfish to position yourself like that, and dangerous as well. I have seen people getting knocked over by faster runners just because the people behind them couldn't pass them and were getting angry and frustrated. Keep these things in mind, to make sure you make the race enjoyable for everyone around you, not just yourself. I could go on a bit, about wearing music devices when race organisers have asked you not to, manoeuvring from left to right to left without taking into account people around you, etc, etc. As I said, I could go on, but I won't. I am sure you'd ask me to get off the soapbox soon enough! And end of article as well. Running races can be very rewarding. Nothing like a race that goes perfectly to plan after months and months of preparation! I hope the tips provided help you a bit come race day. 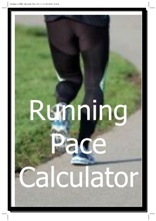 Now Move on to Your Favorite Race Distance for Race Specific Tips!